A Sony Ericsson rep has let slip via Twitter that the company is expecting to release not only the new Xperia X2 handset in the coming months, but the X5 following shortly after. 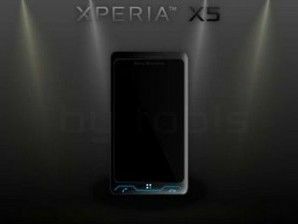 Harold de Kort, Sony Ericsson Marketing Communications Manager for Benelux, said on Twitter "Naturally, after the X1 comes X2, X3, X4 and X5. What else is new?" While the idea of a company following something called the X1 with the rest of the range, it backs up the exclusive news TechRadar brought you from the UK MD of Sony Ericsson earlier in the year, that a number of Xperia devices are currently being readied, and they'll be wildy different from the original. Unwired View is reporting a slightly different idea in terms of naming however. In what it claims is a completely unsubstantiated rumour (the best kind, of course) they say the numbers X3 and X4 will be skipped, due to the negative connotations they would bring in some regions. This would be a bizarre statement indeed if it weren't for a leaked shot of the X5 appearing last year, inexplicably missing out the numbers in between. While rumours are just that, the sheer weight of them from different sources hints at something very real happening in the near future. However, after the mixed success of the original Xperia, the pressure is on the ailing Sony Ericsson to get the next models right, or else we might see the death of the name altogether.